Update: Jawbone has issued a correction to initial reports that the company is giving up on wearables. The Up fitness tracker maker claims these reports were "unequivocally false," and is now reaching out to publications to clear things up. 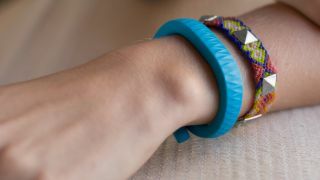 "Jawbone remains wholly committed to innovating in and building great wearables products," the firm said in statement. "The Company has never been more excited about its pipeline of technology and products and looks forward to sharing them when ready. "We manage our inventory positions according to internal business processes, and strategic product lifecycle objectives. This situation is no different and we will continue to support all of our products in the marketplace." Jawbone didn't comment on the report that it's looking to sell off its speaker business, however. It makes sense that the company would turn its focus to wearables and fitness thanks to its experience in the space, although Jawbone didn't comment on any specific upcoming products. Jawbone has stopped manufacturing its Up fitness trackers and is looking to sell its Bluetooth speaker business, according to two separate reports today. Unnamed sources told Tech Insider that Jawbone has halted production of its Up fitness trackers and has sold the remaining inventory to a third-party reseller. To be clear, though, the company isn't exiting the wearable business entirely. Jawbone CEO Hosain Rahman told Tech Insider a few months ago the company plans to create and sell "clinical-grade" fitness trackers. The Verge is reporting, however, the company is working on a new product that isn't a fitness tracker, but rather a wearable that offers "clinical-grade health tracking related to heart monitoring." In a separate report from Fortune, multiple unnamed sources revealed Jawbone was looking to sell off its speaker business to focus entirely on the health and wearables business. The company is allegedly liquidating its remaining speaker inventory in retail stores. It's sad to see Jawbone's Up fitness trackers go, as its software and features were well liked, though pricing and awkward design stopped them from being truly great. The wearables business may be dominated by Apple and Fitbit, but the sector on the whole seems to be in the weeds. Apple refuses to publish sales numbers of its Apple Watch, and Fitbit's stock dropped 20% earlier this month after failing to meet Wall Street expectations. Google's Android Wear devices are also struggling, making up approximately 10% of smartwatch sales in 2015. The declining interest in wearables is forcing companies like Pebble to become hyper focused on what users actually want: fitness tracking. Pebble released a trio of new smartwatches this week that put fitness at the forefront. What's next from Jawbone remains unclear. Without Up and speakers, all of its hopes seem to rest on this new, mystery product. Will it be enough to carry the company forward? That remains a huge question mark.